What a superb line-up of top women at bodybuilding's premier amateur event of the year!! This prestigious event, staged in London on September 12th at Wembley, was split into 2 separate classes for women. For the first time in NABBA history the Professional Class was held on a separate day at a different venue to the 1987 NABBA Amateur Universe. 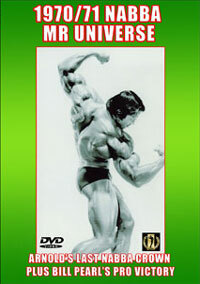 This year the 1987 NABBA Professional Mr. Universe contest was held in Yorkshire, northern England. 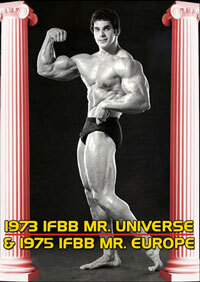 That date was 26th September, 2 weeks after the NABBA Amateur Mr & Miss Universe. 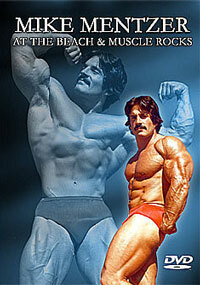 This was the year when the powerful USA women's physique team took the top 2 spots in that class. It was a first and has never been approached since. 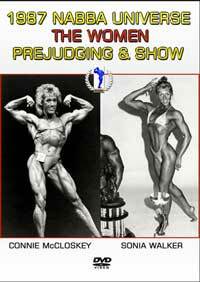 This was the second year that the women's competition was split into two classes - FIGURE and PHYSIQUE. Connie McCloskey of U.S.A. won the Physique Class and Sonia Walker of England won Figure Class. Donna Hartley-Wass of UK also competed in the Physique section and placed third. This gained an enormous amount of positive publicity for NABBA in the UK Press because Donna was a highly acclaimed track and field athlete who had been awarded the O.B.E. She had a truly superb physique as well!! This contest was also notable for the presence of the beautiful Italian Tania Panza - she only placed 5th, but was one of the very first girls to wear a G-string on-stage. 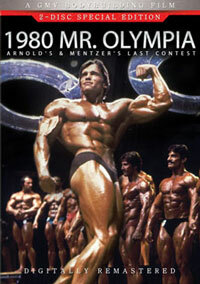 She later went on to win major titles including the overall PHYSIQUE title at the NABBA Worlds in 1990.